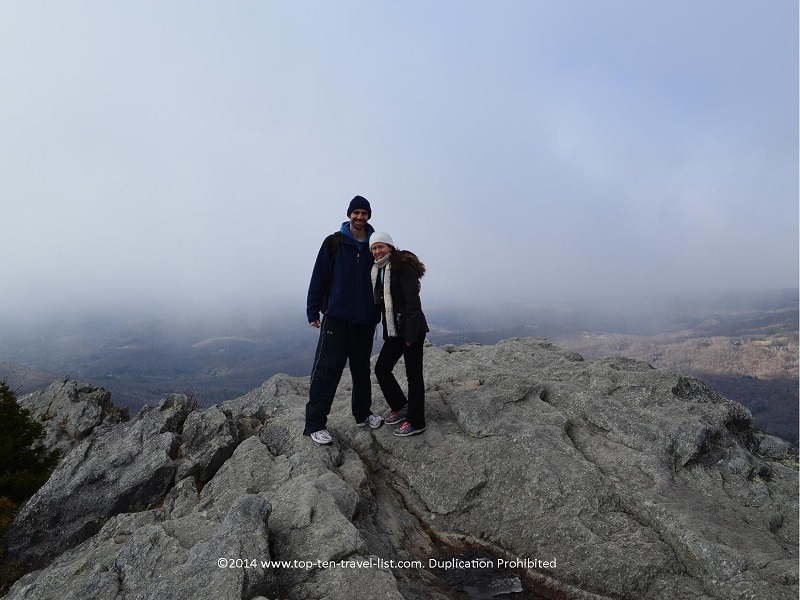 Vacation Spotlight: Western North Carolina - Top Ten Travel Blog | Our experiences traveling throughout the US. Western North Carolina is an outdoor lover’s paradise, complete with every type of recreational activity you could possibly imagine. 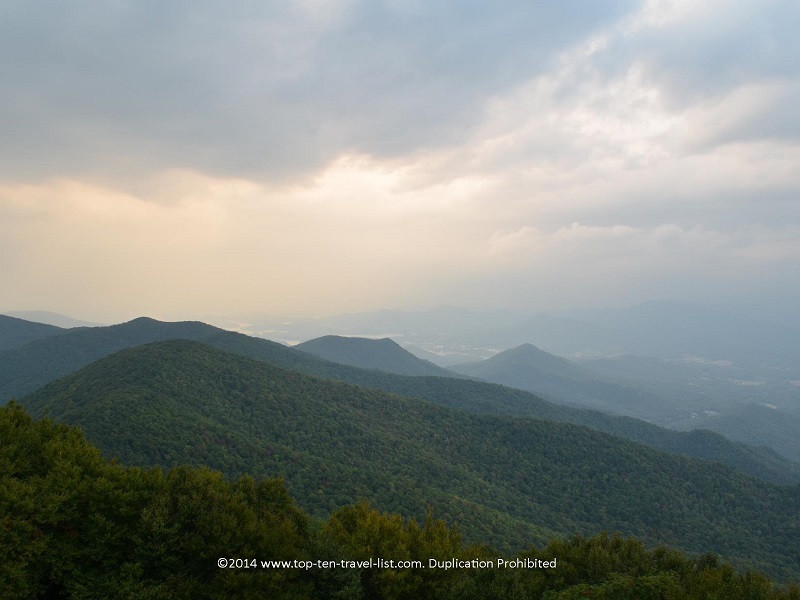 The region is home to numerous notable attractions including the Blue Ridge Parkway, Grandfather Mountain, and the Great Smoky Mountains National Park. 4 seasons of fun, from winter skiing to scenic fall drives to hiking in the summer will keep your itinerary packed no matter which time of year you decide to plan your getaway. Photography, wildlife viewing, rafting, hiking, biking…there is something for everyone! There are benefits and cons of visiting during different times of the year. The summer season brings forth much cooler temperatures and less humidity than you would experience in other areas of the state. Surprisingly, cities like Boone and Blowing Rock only reach temps up to the low 80’s or so during the summer, making it the perfect escape from more humid Southeast cities. Winter is cold and often snowy, however, this is great if you are into skiing. Fall is an ideal time to visit as you will be treated to refreshing, brisk temperatures, beautiful colors, and perfect hiking conditions. 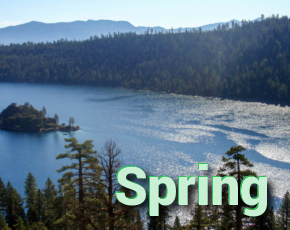 Spring is a great time for any type of outdoor activity as temperatures are comfortable and the leaves have begun to come back on the trees. Boone offers access to so many wonderful outdoor attractions including hiking trails, rafting, and horseback riding. From here, you have easy access to many great attractions like Grandfather Mountain and the Blue Ridge Parkway. This small mountain town is very pleasant to drive through with its’ attractive small town atmosphere, an abundance of trees and water, and gorgeous mountain scenery. 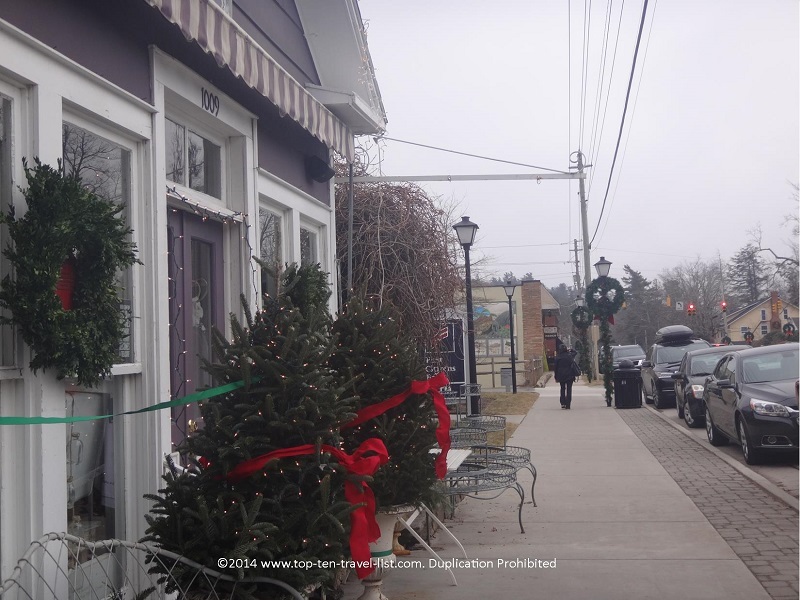 The charming downtown area is a great place to dine local and shop for souvenirs. An abundance of secluded cabin rentals and rustic lodges are available to get that out in the woods feeling (a must for anyone visiting from the city!). Blowing Rock is a small town in the Blue Ridge mountains, just a short drive from Boone. It gets its’ name from the popular Blowing Rock tourist attraction, a cliff which stretches out 1500 feet above the Johns River Gorge. Due to the unusual shape of the rock the wind tends to blow up instead of downward. 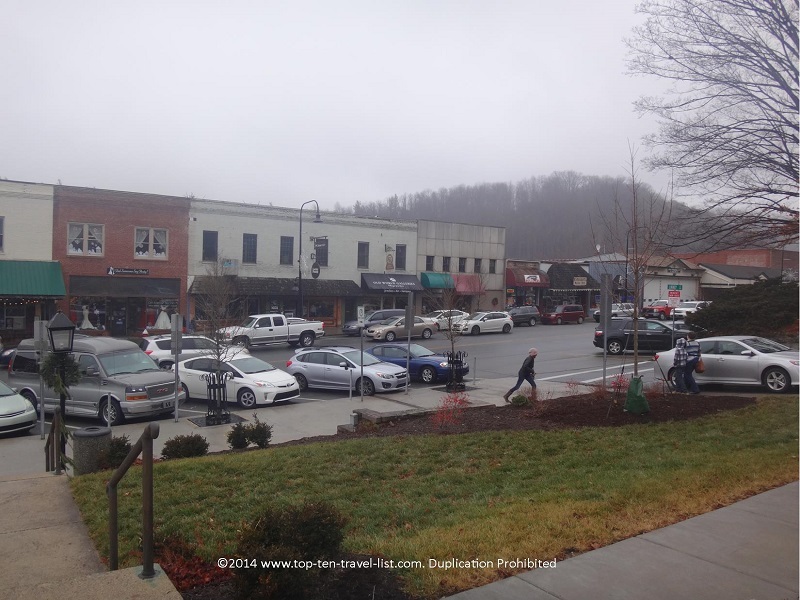 The upward flow of air led to the following Ripley’s Believe It Or Not slogan: “the only place in the world where snow falls upside down.” A stroll around Blowing Rock’s charming downtown is a great way to begin your trip. Asheville is home to the Bitmore Estate, the largest privately owned home in the country. Tours of both the inside and outside are available. In addition, carriage and horseback rides around the beautiful grounds can be arranged. Asheville offers both natural and cultural attractions, so you can enjoy the benefits of both. This artsy town is home to many museums, art galleries, and cultural attractions. The quiet small town ambiance combined with easy access to outdoor fun make Asheville a great choice for those seeking a relaxing & fun vacation. Bryson City offers it all: a quiet escape from the cities, endless outdoor attractions, and convenient access to the Smoky Mountains. Many of Western North Carolina’s and Eastern Tennessee’s best attractions can be accessed via a short road trip from Bryson City. It is close enough to all the tourist attractions, but far enough away that you can still enjoy the peacefulness of nature and mountain surroundings. 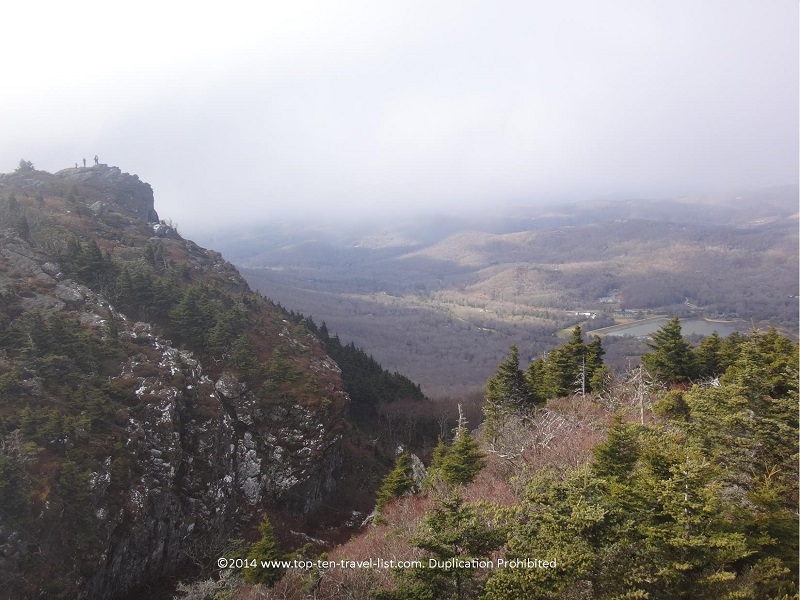 Grandfather Mountain – The top sight in the area is Grandfather Mountain, the highest peak in the Blue Ridge mountains. 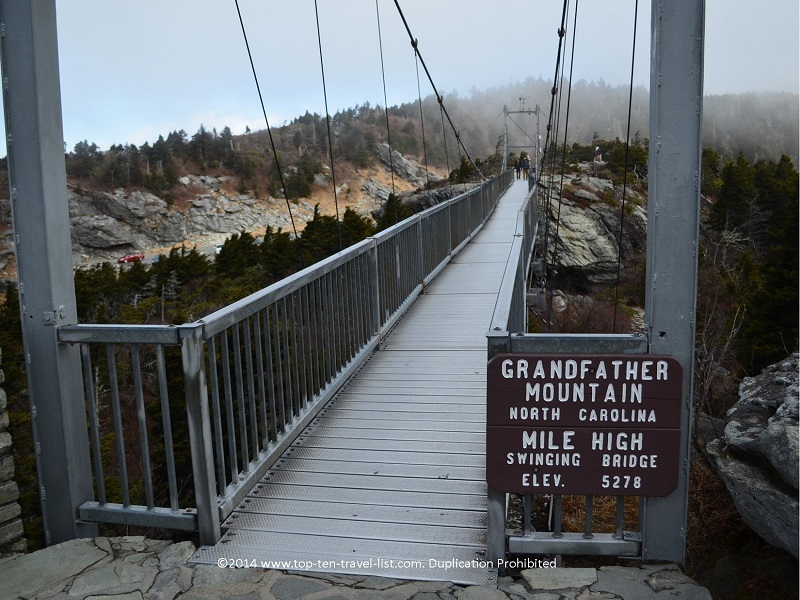 There are lots of things to do here including walking across a mile high swinging bridge. The views really are incredible. In addition, you will find 11 hiking trails, an animal habitat, and a nature museum. Bring with your camera – there is no shortage of amazing photo opportunities! The views from the top are amazing! Well worth the scary climb! 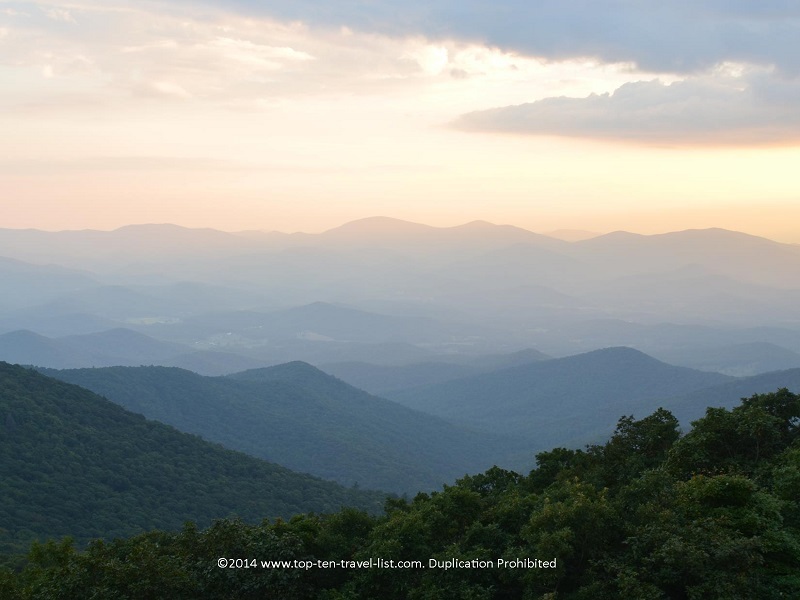 The Blue Ridge Parkway – More than 200 miles of this gorgeous 469 mile drive lies within the state of North Carolina. Gorgeous all year-round, especially during peak fall foliage season. 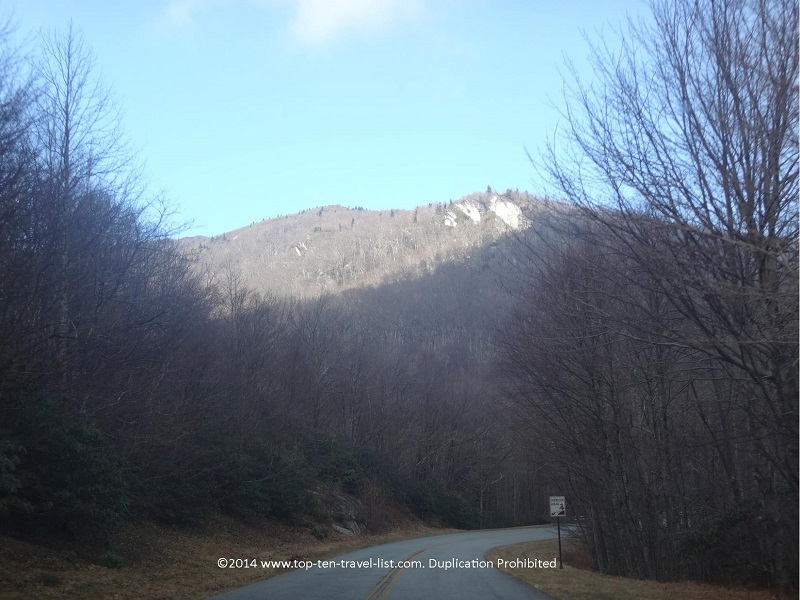 Highlights along the route include: views of beautiful Grandfather Mountain, access to Linville Falls Recreation area (a 1.5 mile trail leads you to a 3 tiered waterfall), and Mount Mitchell State Park (at 6684 feet tall, the summit comes in as the highest point east of the Mississippi). 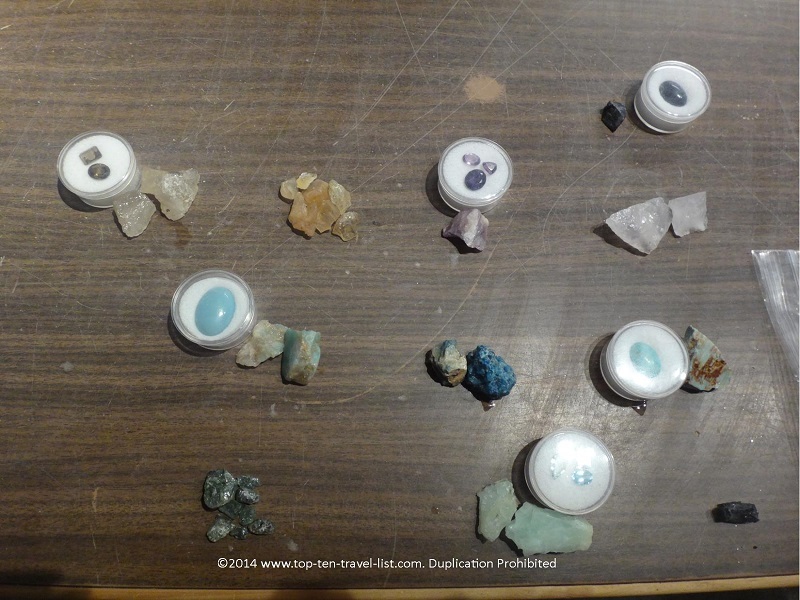 Foggy Mountain Gem Mine – Search for precious gems in this adventurous, fun, family-friendly activity. As you sort through your bucket on the flume line, you will find all sorts of valuables including rubies, emeralds, and sapphires. You have the options of turning your finds into beautiful jewelry! What a great souvenir! 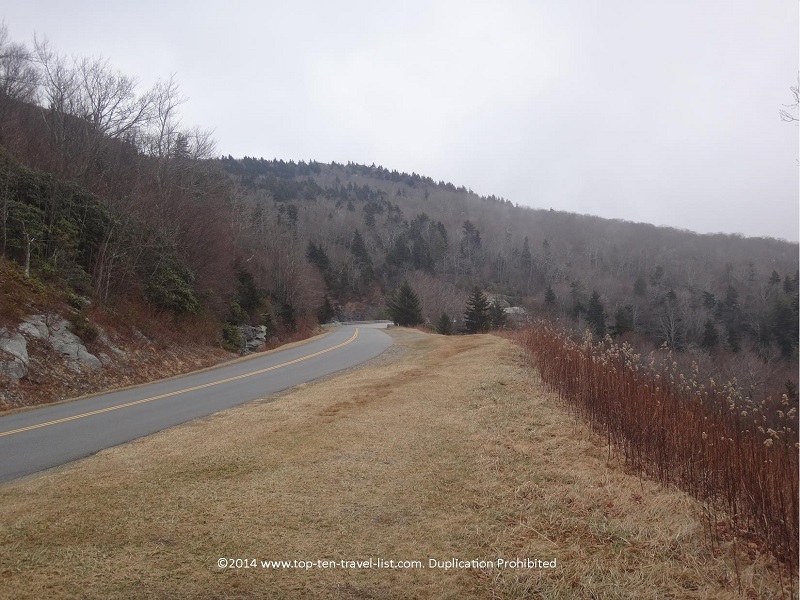 The Blowing Rock – Known to be the oldest North Carolina tourist attraction, the Blowing Rock is a great place for photographers and nature lovers. The cliff, which is 4000 feet above sea level, provides tremendous views of the area. From here you can view both Grandfather Mountain and Mt. Mitchell. The Smoky Mountains – The North Carolina entrance to the Great Smoky Mountain National Park is in Cherokee. The Smokies are one of America’s most beautiful parks, and at no surprise, the most visited. Admission is also free, which is very rare. Here you will find many beautiful waterfalls, abundant wildlife, and plenty of miles of hiking trails. 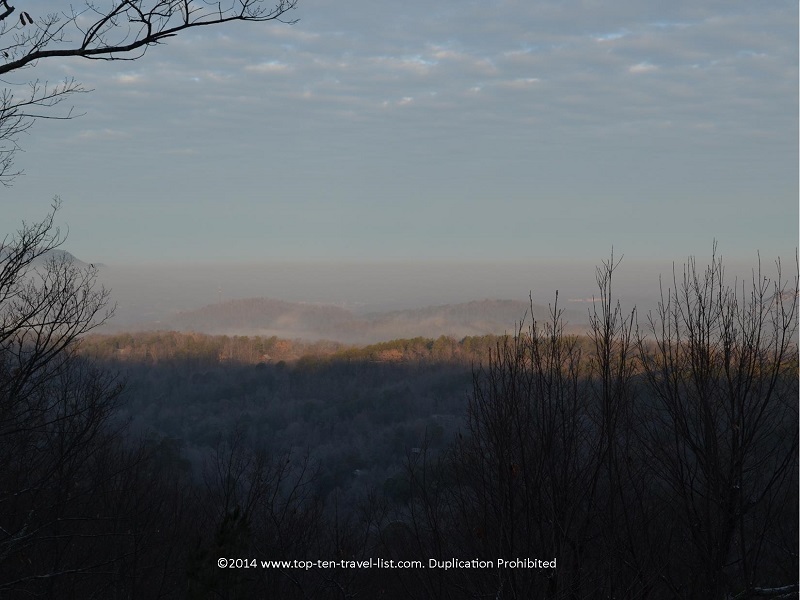 The Smokies are beautiful year round, even during the winter season! 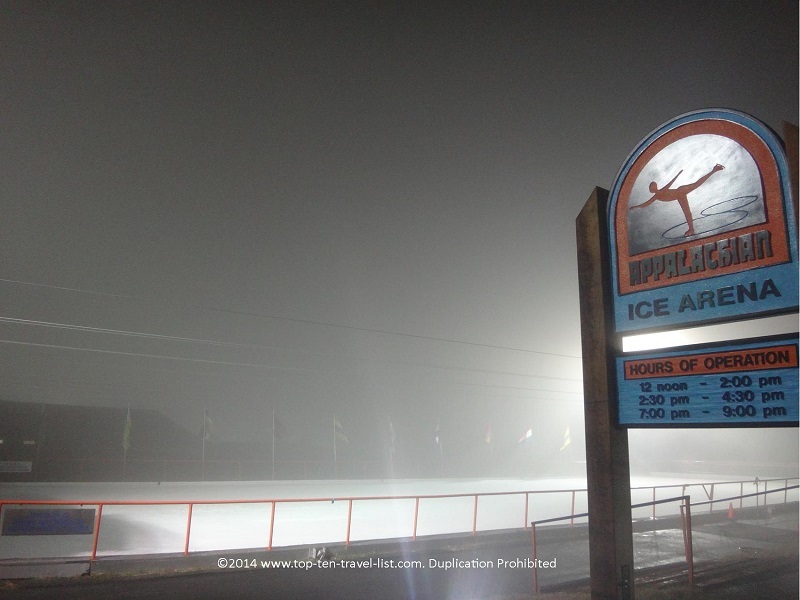 Appalachian Ski Mountain – One of the best skiing options in the area, Appalachian offers great lessons for first timers, in addition to the area’s only night skiing. Ice skating is also available for the non-skiers out there. The Bitmore Estate – Guests are able to tour both the inside and the outside of America’s largest house, built by the Vanderbilts in the late 1800’s. Whether you choose a self guided audio tour of the inside, or a carriage ride of the beautiful grounds, you are sure to be amazed by the lavish surroundings. During the holiday season, the mansion is elaborately decorated both inside and out. 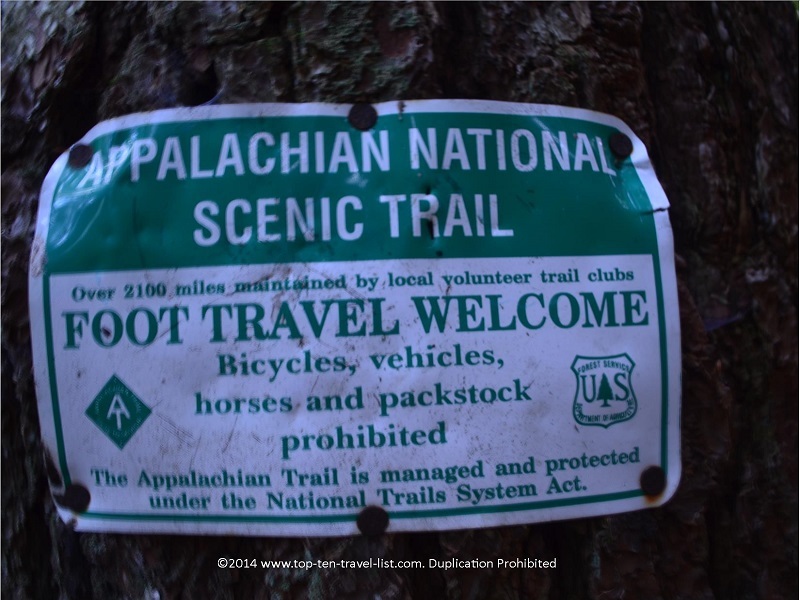 North Carolina is home to 88 miles of the famous 2000 mile Appalachian Trail. It’s hard to imagine that hikers actually have attempted to and completed this journey in a single trip (hikers who complete the journey in a single year without stopping are known as thru-hikers). To date, more than 14,000 people have completed the entire trail! 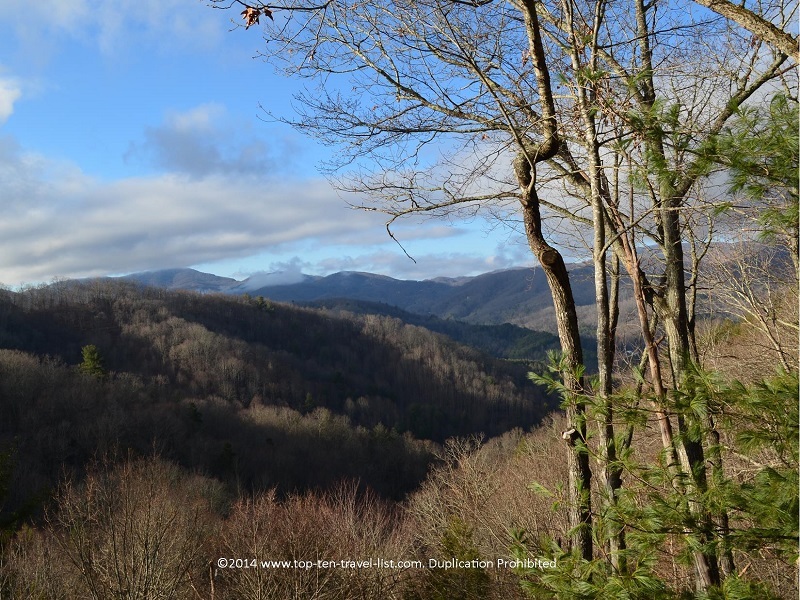 If you are not up to a lengthy expedition, you can still get a little taste of the trail by completing one of the many hikes found throughout the Western North Carolina region. 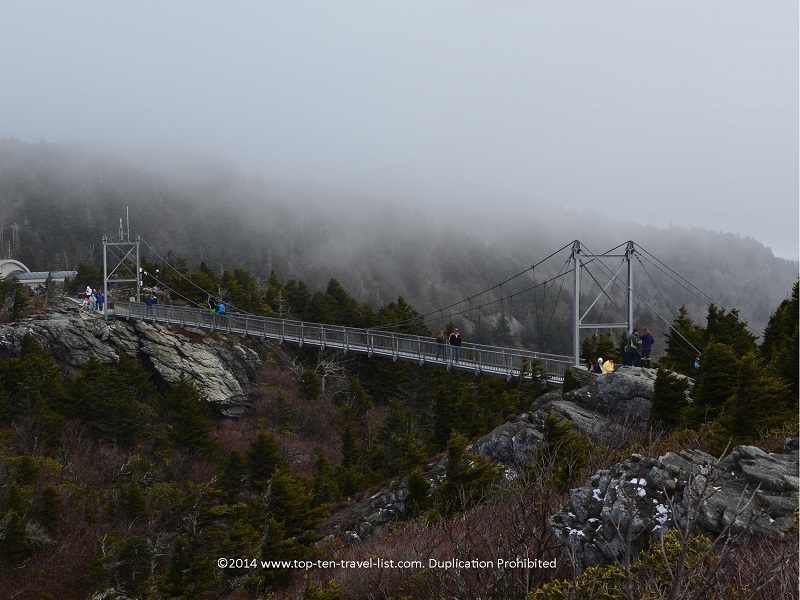 Visit the Appalachian Trail Conservancy website for information on the variety of options available. Hiking just a portion of this amazing trail allows you to take a break from ordinary life, enjoying the solitude, breathing fresh air, and taking in all the magnificent scenery. Brasstown Bald – From the highest point in Georgia (elevation 4784 ft.), you will experience amazing panoramic views of the Georgia and North Carolina mountains. If you are traveling anywhere near this area, it is definitely worth a stop! The views are among some of the best you will ever encounter. Each season offers a new experience and strikingly different views. The steep 1/2 mile climb to the summit is well worth it in the end for the breathtaking vistas. Check out these views from Georgia’s highest mountain! A simply stunning place to visit! Gatlinburg/Pigeon Forge – Be sure to plan a visit to the entertainment capital of the Southeast/Smoky Mountain region. You will find more than enough activities to load up your itinerary including live shows (Smoky Mountain Opry), Dollywood, Tennessee only ski resort (Ober Gatlinburg), the Aquarium of the Smokies, outdoor activities (rafting, hiking in the Smoky Mountains), hundreds of dining and shopping options (be sure to check out the largest Christmas Store in the Southeast, The Inn at Christmas Place) and much more! 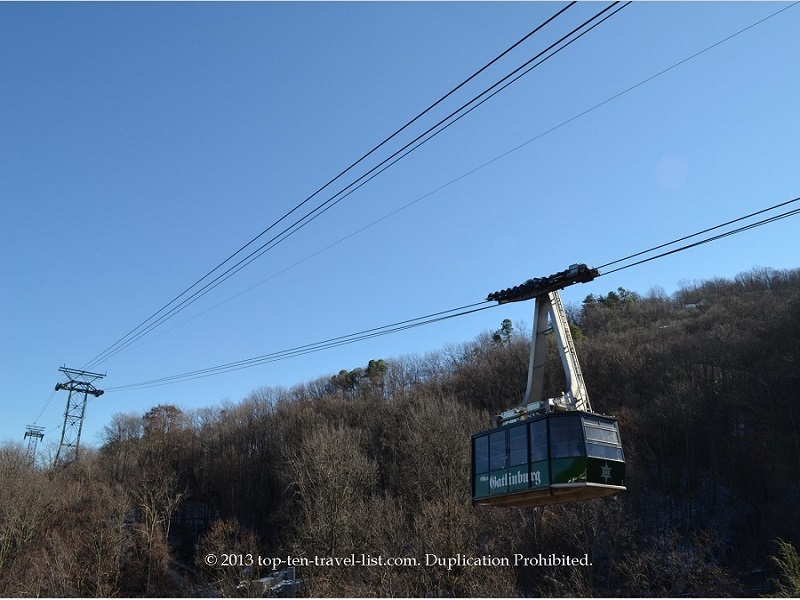 The Aerial tram ride at Ober Gatlinburg is a must on any trip to the area! There are numerous cabins, lodges, and inns in the area. 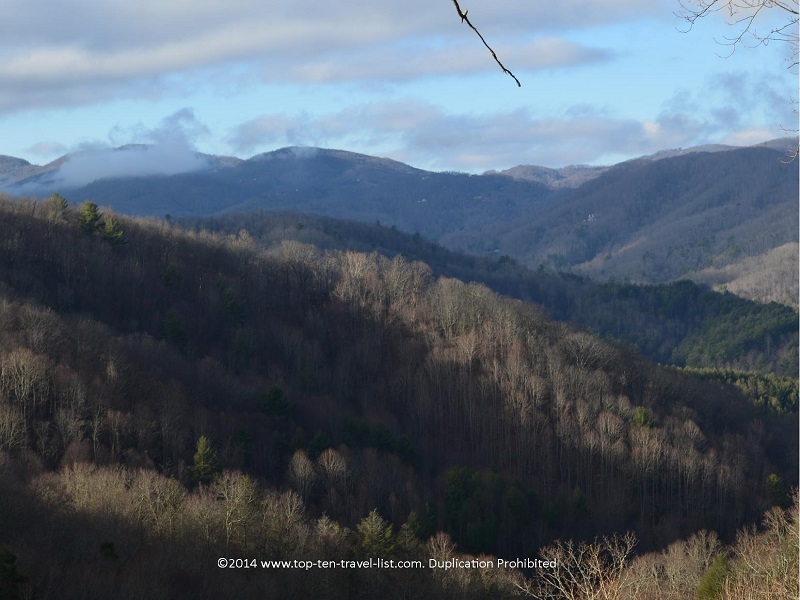 The High Country (home to Boone, Blowing Rock, and many other small towns) is a great choice as you get that rustic feeling, but are still close enough to make longer road trips to the Smokies and Appalachian Trail. 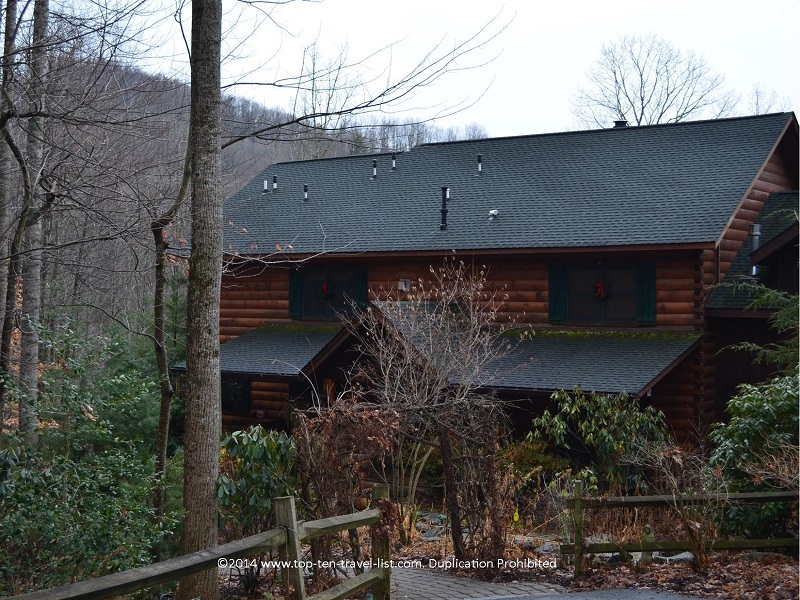 The Lazy Bear Loge in Valle Crucis is a great option for those seeking a relaxing getaway with the added bonus of a few luxury amenities. The lodge is built on a hill, providing wonderful views of the surrounding mountains. Amenities include a full breakfast each morning, coffee and tea, private patios facing the mountains, wonderful panoramic views from the lobby, and in room fireplaces. The views truly are amazing and wildlife is abundant. The lodge is conveniently located within driving distance from all of the activities listed above. Have you ever visited any of the Western North Carolina attractions listed above? 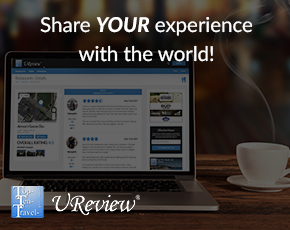 What are some of your favorite places to visit?